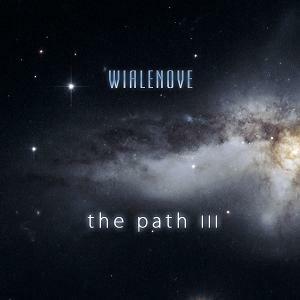 Starting with furious drum capers in the first track, Wialenove’s “Path III”, the third part of his cosmic “Path” trilogy, is continued in a calm, soaring ambient manner. Here you can find “Anthem Of Space”, with spreading volutes of gentle chords, against the phasing background, “Wheel Of Time”, a symphony-like piece, with stretched melody and synthetic vocal parts. “What If” is a nice example of relaxing, unobtrusive ambient melody with delicate howlings somewhere in the outer space. You can hear some kind of cosmic bells in “Infinity”, a slightly rhythmic composition. “The Light” is filled with soft background noise with vinyl-like cracks and measured melodic picture. Thus, various means and methods are used by the artist Wialenove, who often dedicates his works to space themes, as in his “Across The Universe”. So, make the infinite march along Wialenove’s “Path”. This entry was posted in Uncategorized and tagged ambient, drone, Liminal Recs, Wialenove. Bookmark the permalink. This is a must have. Coupled with the complementary ‘Lost Chapters’ on Liminal, this is a lush experience.